Removing an executor can be a complex process. Call Toronto estate litigation lawyer Charles Ticker at: 1-866-677-7746. The Court has jurisdiction to remove an executor on any of the above grounds even in some situations where a will has not been probated. In one case the executor had taken steps to administer the estate and that was enough for the Court to order the removal. In other circumstances (such as conflict of interest) the Court may decide to suspend the executor’s right to administer the estate. Whether the removal of an executor is appropriate for your case will depend on the specific facts of your case. 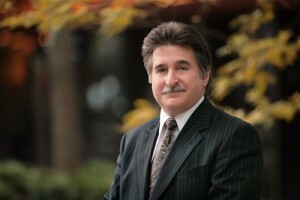 Charles Ticker has 35 years of experience as a lawyer and restricts his practice to estate litigation, estate administration and mediation of estate disputes. He will work with you to represent your interests throughout the removal process and to ensure that you are adopting the best litigation strategy. Furthermore, in Toronto, Ottawa, Windsor and the County of Essex, mediation is mandatory for removal of executor claims. if your dispute is in Toronto, you should consult a Toronto estate litigation lawyer. Charles is an estate litigation lawyer and a qualified mediator with experience that is valuable in removal process. He will provide you with the advice and support you need during while taking the required steps to remove and executor. The information on this website is not legal advice. It is for informative purposes only. Contacting us through the website, email, or telephone does not mean you have retained a lawyer. To book a consultation, call Toronto estate lawyer Charles Ticker at: 1-866-677-7746.